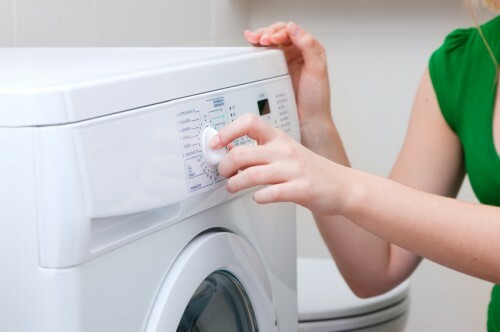 Washing machine is one of those white goods that do not think about it very often, and even more rarely on the list of things to clean at home. And how else – insert inside dirty clothes and detergent and then an hour or two later take out the laundry clean and smelling fresh. We remember to pay special attention to this unit when a technical problem or odor of the drum occur. But if you frequently spend less time cleaning machine you can prevent mold and odor, and to maintain the life of the machine longer. Put baking soda in a bowl and add water. Stir until a homogeneous mixture results. Pour the soda mess inside the detergent section of the drawer. Take vinegar and pour into the drum of the machine. Choose a long wash cycle and the highest possible temperature. Close the door and start the washing cycle. With this easy cleaning from inside using soda and vinegar can do miracles – remove limescale deposits and the beginnings of mold.